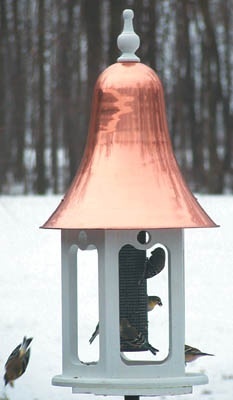 Wild Bird Feeders that Do More- On Sale! How awesome to still see the sun out at 6:00 p.m. The days are getting longer and spring is officially 50 days away. It’s leaves, buds, rebirth and nesting… sweet new happenings for gardens and wildlife! Though cold temperatures and snow may persist, once birds are ready to claim territories and find mates… the weather is inconsequential. Such rough starts aren’t always successful, but alas Mother Nature is resilient. Good food helps, so filling wild bird feeders could mean the difference between life or death in some locales. 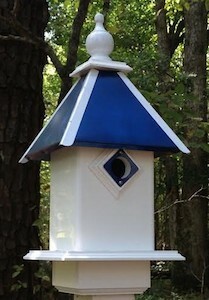 Folks who monitor bluebird trails have reported starvation (in late winter-early spring) as cause of death many times, because natural food sources are unavailable. 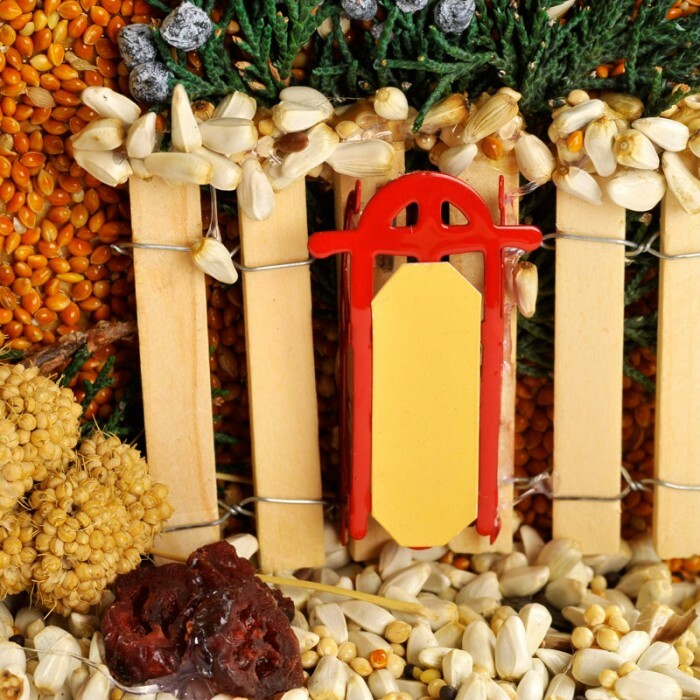 Simply put, food helps keep birds warm in frigid weather. 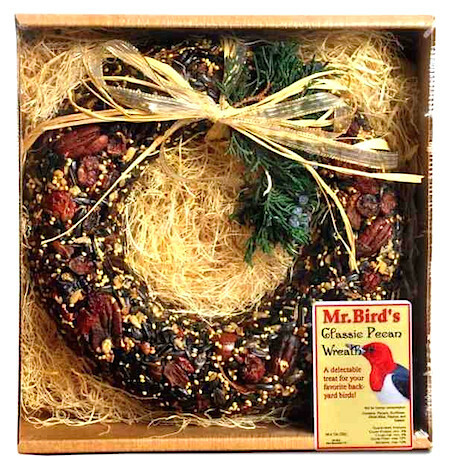 These deluxe fruit & nut wreaths offer a power-packed snack for many friendly fliers. Premium ingredients means no waste and there’s even more than meets the eye. 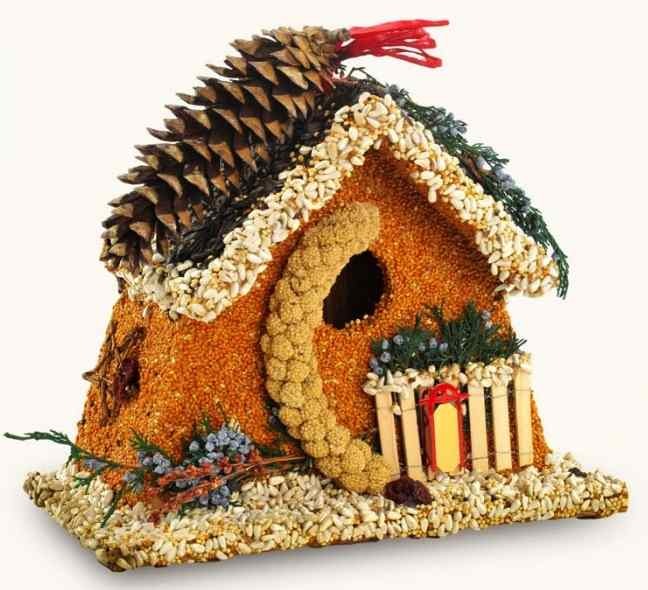 The straw packing is awesome nesting material, cut the raffia bow and remove gold ribbon and there’s more nest material. 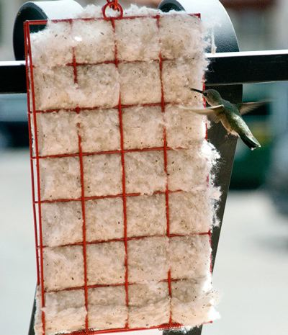 Cut these strips short (for nestling’s safety) and use the black net that’s enclosed to offer materials. Simply hang from a branch where birds will see it. Got a cat or dog? Save the hair from their brush! 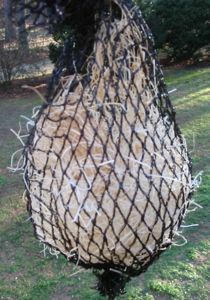 Add these to your home-made nest bag to delight chickadees, titmice, nuthatches and others. Decorative mosses and feathers are a few more favorites, but natural is always best. 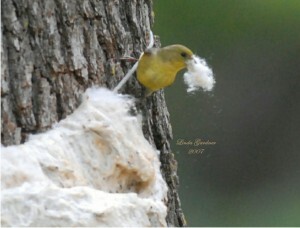 Even birds who don’t use houses (cardinals, jays, finches) will likely grab a bit for their nests too! 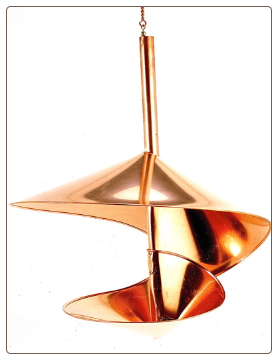 So there you have it, a killer wild bird feeder for now- containg some very bird-friendly packaging for spring… and they’re even on sale! It takes all kinds… all kind of feeders that is. For suet, peanuts, mealworms, nectar, fruit, jelly, nyjer, where does one start? 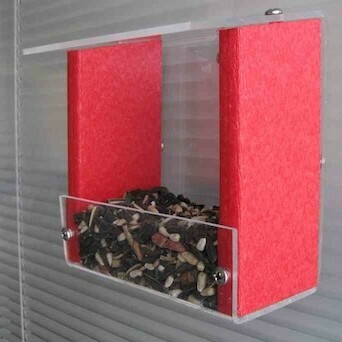 Let’ go with basic seed in a not so basic feeder! Headed to a house-warming or birthday party? 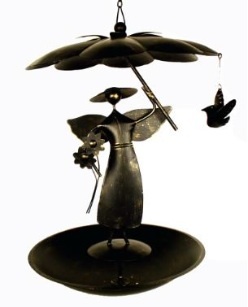 Something like this wild bird feeder is perfect when you’d like to bring a little more than a bottle of vino. 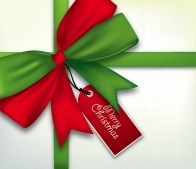 Long after consumption, this gift keeps on giving! Even if the recipient isn’t into the birding scene… it’s a fantastic way to to introduce them to one of the fastest growing and most enjoyable hobbies around! 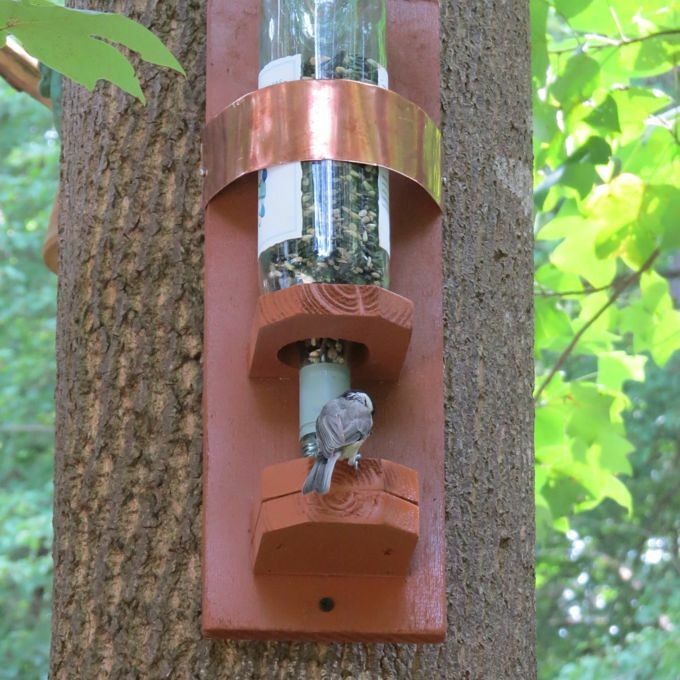 Handcrafted in GA, the bottle feeder quickly mounts just about anywhere, and birds flock to it immediately! The stash stays dry and protected from elements, while drainage in the tray keeps things from getting messy. Black oil sunflower or mixed seed works best, we prefer sunflower hearts or a no-waste mix as it leaves little ground mess. Many feathered species prefer sunflower hearts too; chickadees, titmice, nuthatches, cardinals, bluebirds will eat this seed in winter, finches and woodpeckers… to name just a few of the usual suspects! For a limited time, the bottle feeder is back because the artist says they just take too long to make! 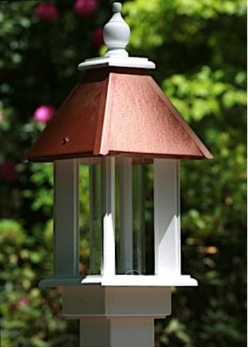 Wildly popular on Pinterest a few years ago, the bird feeder looks like something you could easily make yourself, maybe so if you’re the handy type? 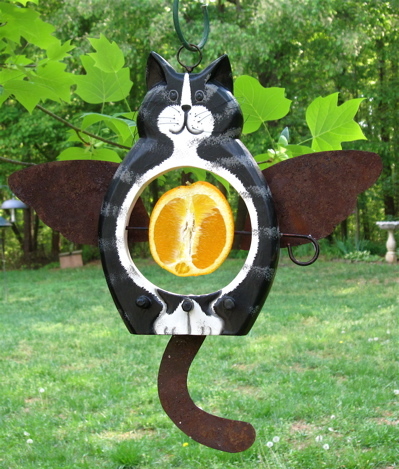 The one thing we do know is birds love this feeder and it’s perfect for year-round use. If considering a gift of nature for someone special this year, consider one that might be customized to suit the recipient’s favorite colors, or even their favorite team. and the recipient was thrilled! 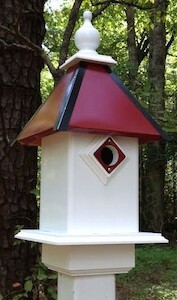 Some other post-mounted bird feeders offer custom team colors too. Also made in the USA, durable PVC will never crack, mildew, peel or rot. See? 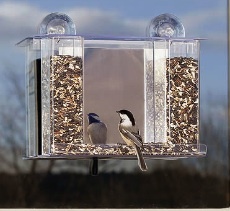 That’s part of the beauty of these unique feeders! 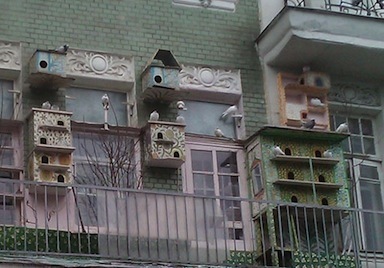 The quality and materials will last for years of enjoyment- by birds and their hosts alike. 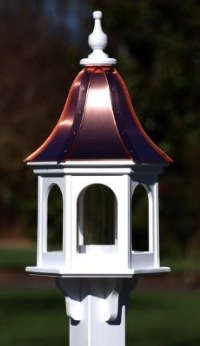 Shown with standard roof choice, all styles of feeders and houses are available in 12 team choices! Check out these cool combinations for the sports-birding enthusiast on your list! Seeing more traffic at your feeders lately? 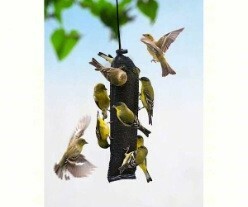 The recent cold snap and first freeze of the season has finches flocking to feeders. The frost will damage some plants with fruit or berries, and likely zap most flying insects. As the cold wears on, these natural food sources disappear so wild bird feeders start seeing increased activity. 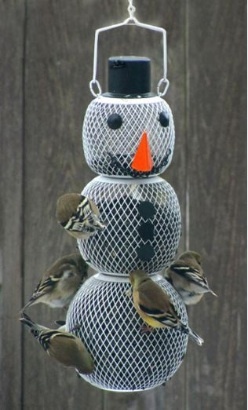 Aside from the usual suspects like cardinals, chickadees titmice and wrens, goldfinches are still around from summer- but with their new winter feathers they’re looking a bit drab as seen on this snowman feeder. 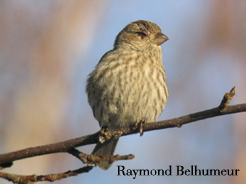 House Finches, who tend to travel in large flocks are crowding feeders now too, and they appear at new feeding areas in large groups. These birds are prone to a respiratory infection (see Cornell Lab for the history) that may infect other birds through bird feeders. The disease is actually conjunctivitis, though it’s not transferred to humans. Affecting their eyes, the bacteria itself is not fatal, but infected birds usually end up blind and die from starvation or predation. 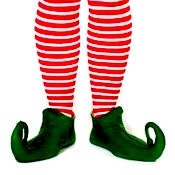 You’ll see them with swollen, half-closed, or crusty eyes, and sometimes completely swollen shut. They go where it’s easy to feed, on the ground scavenging below feeders or staying in a nearby tree. 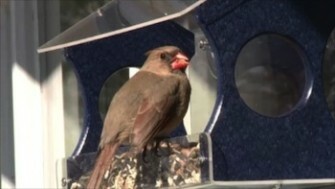 It’s really a sad sight, but knowing that other birds may become infected through your feeders is worse. This is why maintaining clean feeders is important. Non-porous surfaces like glass, copper, recycled plastic or vinyl are much easier to clean than wood. 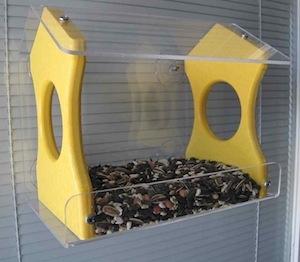 These wild bird feeders promote a healthier environment because bacteria can’t settle into cracks and crevices. There are a few easy steps to help prevent the spread of conjunctivitis and what to do should you see an infected bird in your yard. Space feeders as widely as possible to divert large crowds from gathering at one spot. 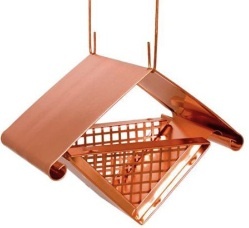 Clean feeders with a 10% bleach solution (1 part bleach to 9 parts water) with extra attention to feeder ports. Rinse thoroughly and air dry. Rake fallen seed and bird droppings beneath feeders, keeping this area clean. Take feeders down if you see one or two birds with infected eyes, and clean as suggested above. 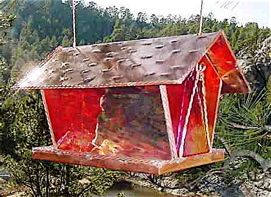 Some folks even wait to hang feeders again, encouraging the flock to move on.